Super Fast: Graphene is an excellent thermal and electric conductor, better than copper and up 1000 times more conductive than silicon. Super Strong: Its harder than diamond, around 100 times stronger than steel and can stretch up to 20% of its original length. High Visibility: Its unique electrical properties mean it absorbs a high percentage (2.3%) of light, which means that despite being only one-atom thick, it is still visible to the naked eye. Impermeable: Graphene is the most impermeable material ever discovered. – Super Filter: Because of its properties of impermeability it could be a filter for sea water. Developing it correctly with tiny holes just big enough to let the water through and leaving the salt out, this will result in safe consumable water. 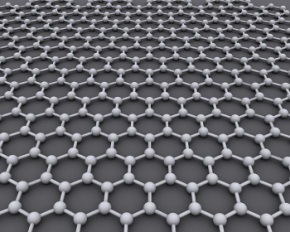 Imaging if we solve the problem of lack of water in the world thanks to graphene? – Electronics: Imagine a phone or any type of gadget with graphene, this material is so strong that you would never worry again about scratching the phone or shatter the glass surface of your iPhone. When do you think Apple will produce the first graphene powered iPhone? Maybe we can see the “iPhone G” in a couple of months? years?